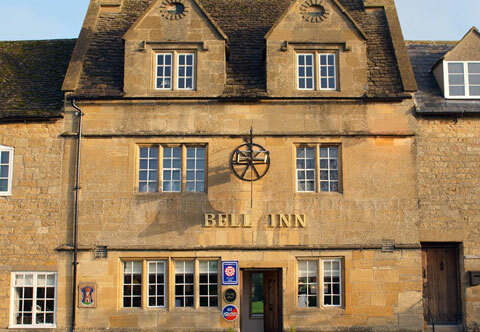 The Bell Inn is a 17th Century Cotswold stone-built pub overlooking the Village Green and Duck Pond in the centre of the picturesque village of Willersey. The Bell is a genuine Cotswold country pub with home produced foods, traditional cask ales, fine wines and comfortable bedrooms. Set between Chipping Campden and Broadway, Willersey offers the perfect location for touring, whether by car, bicycle or on foot. There are five bedrooms, Victorian in style and tastefully decorated with beautiful, elegant furnishings. Situated in our Courtyard they are the finest in traditional style and quality to ensure your stay is a memorable one.